My child does not eat much. Well, that's if you don't include brown rice with black beans, peanuts, popcorn, pizza, or bananas. We have exposed her to many foods, but she is quite finicky when it comes to food and beverages. All she will drink is apple juice, milk, and water. For weeks, I have been worried that she has not been eating enough variety to be considered a well-balanced diet. 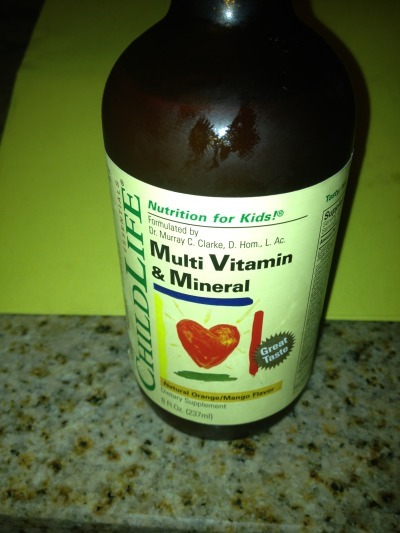 Last weekend, D and I were proactive and made the journey to Whole Foods to choose a multi-vitamin for Lil D. After reading labels on about 5 or 6 vitamins we settled on a multi-vitamin (with minerals) formulated by ChildLife. ChildLife is a company developed by Dr. Murray Clarke, ND, D.Hom., L.Ac. Dr. Clarke has been specializing in pediatrics in his homeopathic and nutritional clinic for the past twenty years. We felt his product was the best offering the most vitamins and minerals. I am of the mindset that your food should be your medicine, but until Lil D is older and I can negotiate with her to eat everything on her plate I will have to supplement her foods with products like ChildLife. 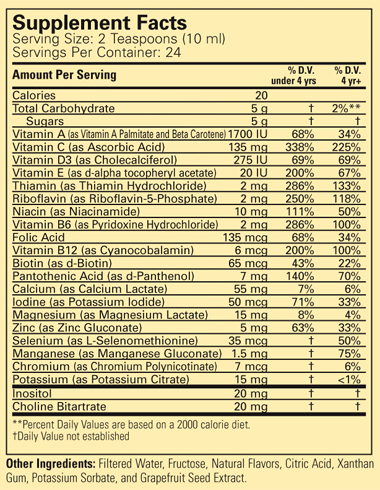 Our next purchase will be their Essential Fatty Acids (EFAs) formula.